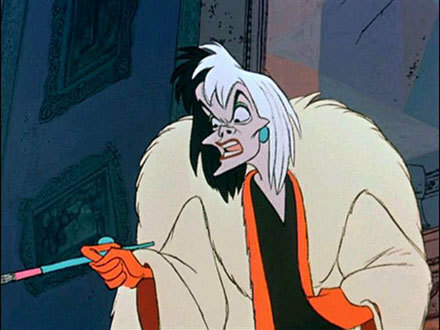 Cruella de Vil. . Wallpaper and background images in the Penjahat Disney club tagged: disney villain cruella de vil 101 dalmations. This Penjahat Disney photo contains anime, komik, manga, kartun, and buku komik.